If the cold winter weather makes you feel lazy or like you aren't at your best, the same is true for your car. Once the temperature starts to drop to freezing levels, your car can really feel the effects of this. If you generally park your car outdoors overnight, this exposure to the cold can cause it to have trouble performing at its best in the morning. To learn more about how the cold can affect your car, continue reading. Your car's battery is always under a lot of pressure because it's what keeps your car moving. Without a good battery, your car may not even be able to turn on. In the winter, the cold temperatures add even more strain to your battery as it has to fight the cold to keep your car going. If your battery is already nearing the end of its life, the cold can push it over the edge. Since batteries generally last three to five years, if your battery is nearing its five years of life you may be better off replacing it before the cold temperatures arrive. If you're not sure how old your battery is, your mechanic can perform a volt test that will let you know how much power it has left in it. If you don't already have jumper cables in your trunk, be sure to get some before winter just in case you end up stranded in the cold. It's not uncommon for tires to become overinflated during the summer months because of the heat. As the temperatures take a serious dip, it's not uncommon for the opposite to happen during the winter. Avoid driving on under-inflated tires during the winter by making time to check your tire pressure at least weekly. If your tires are a bit under-inflated, this can lead to reduced traction on the already slippery roads. Do your best to keep your tires at the proper pressure and stay safe on the road. The cold temperatures can cause your fluids to become thick and sluggish like molasses. As this happens, they will become less efficient, leaving parts of your car exposed to wear. Your fluids need to be able to flow quickly in order to perform their job efficiently, so you'll have to check on your fluids to ensure they're able to do their job. Some fluids may need to be changed out for winter grades that will stand up to the cold better. 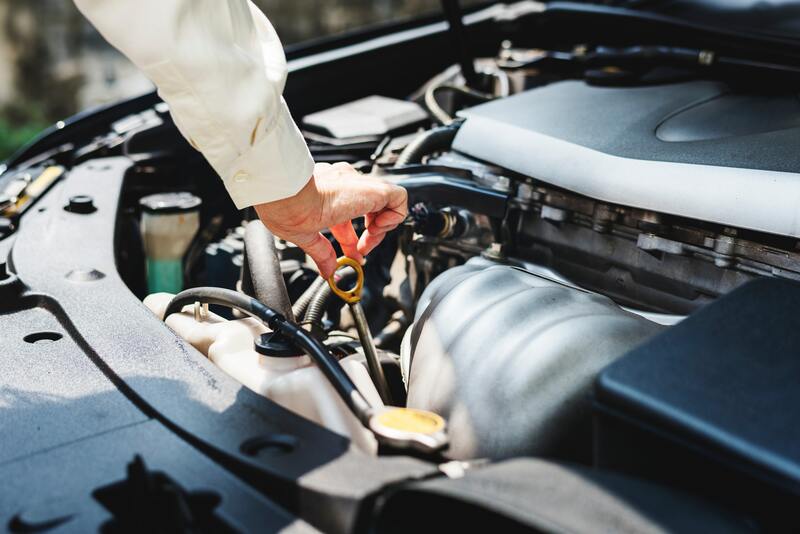 When it comes to your motor oil, a synthetic oil will be better suited for the job since synthetic oils can hold onto their properties better no matter how hot or cold it gets. Before the winter arrives, prepare your car with a synthetic oil change in San Diego. Use AMSOIL's Signature Series 0W-40 Synthetic Motor Oil to ensure your motor stays well protected this winter. For more help finding the right products for your car, call Synthetic Oil Inc. at (800) 653-0323 or stop by their online shop. If you're expecting some seriously cold temperatures, you may want to look into getting new windshield wiper blades. Your old blades can turn brittle and get cracked as a result of the cold. In this condition, they won't be able to keep your windshield clean, leading to reduced visibility as you drive. Look into winter blades that are made with rubber that will withstand the cold much better. While you're at it, consider getting some winter grade windshield wiper fluid to prevent your fluid from freezing in the cold. Filling up your fuel tank is important during the winter for a couple of reasons. To start, you don't want to get stranded on the side of the road ever, but this is especially important during the winter when temperatures can become dangerous. If you get stuck on a snowy road or have to pull over during a storm, having enough fuel in your tank will also allow you to turn on your heating so that you don't freeze. Another reason to fill up your tank is that the fuller your tank is, the less likely condensation and moisture will develop inside of it. While condensation and moisture may not seem like a big deal, they can lead to issues in your fuel line. If they get into your fuel line and freeze, they can lead to clogs and fuel issues. Preparing your car for the winter cold can help it stay safe all season. For all the products your car will need this winter, contact Synthetic Oil Inc at (800) 653-0323. They will be happy to help you find the perfect products for your car.